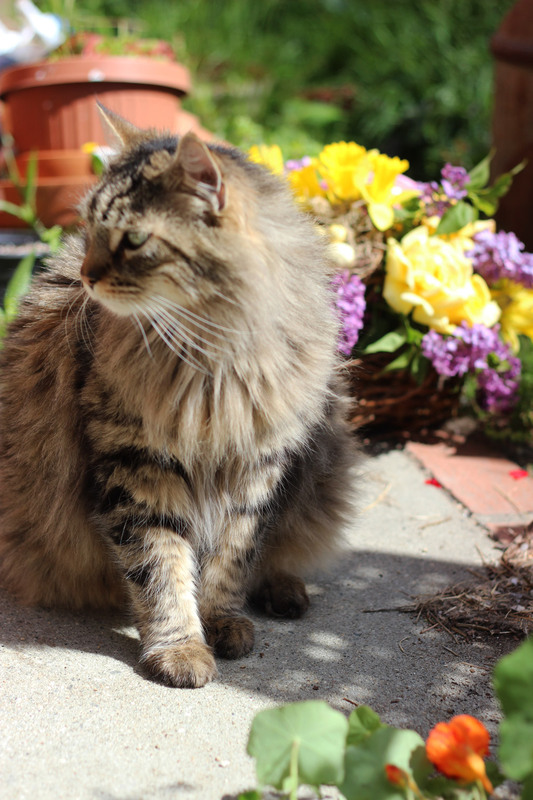 It's Easter, and in California it is spring. My condolences for those of you who have just had another winter snow storm, but spring is coming. 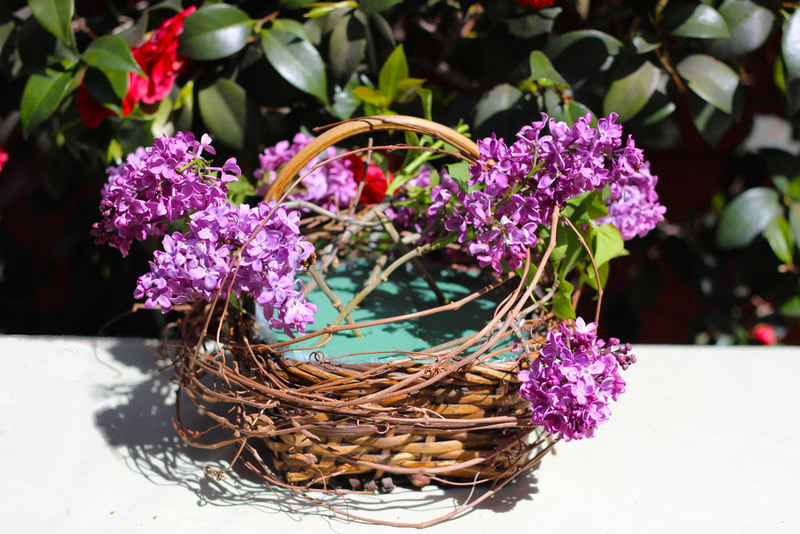 When I think of spring I think of lilacs, and when I think of lilacs, I think of Vermont, where the air is full of the scent of lilacs in the spring, almost to the point of being intoxicating. I also remember as a little girl growing up in Carson City, Nevada, having my mother show me how to make a whistle out of a lilac leaf. Try it. It really works, but it's more like a little toot. 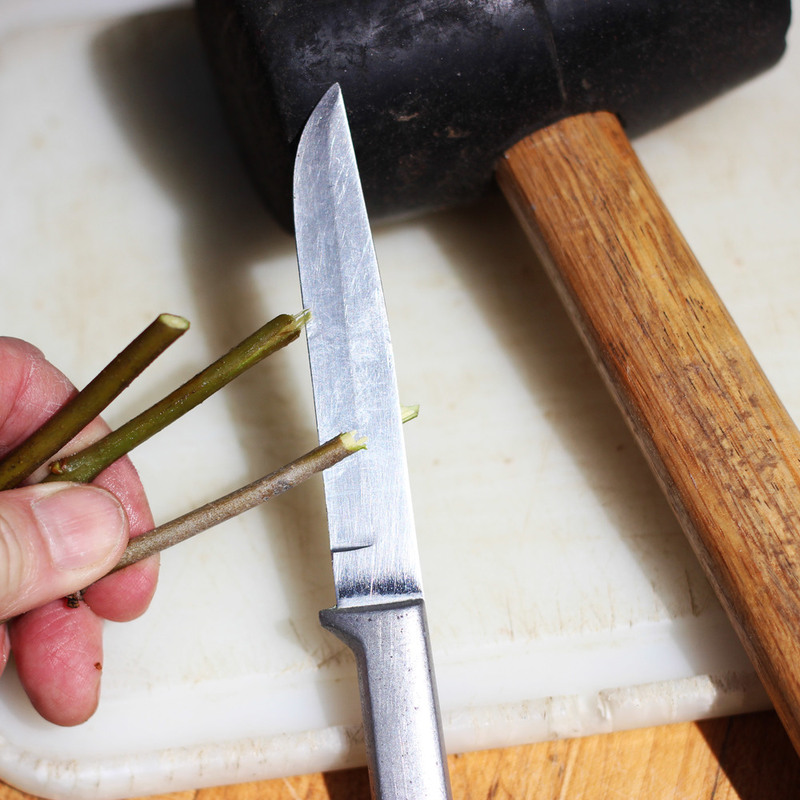 After you cut the stems of the lilac, you will need to cut the ends with a knife across both ways, and hit the ends with a mallet. 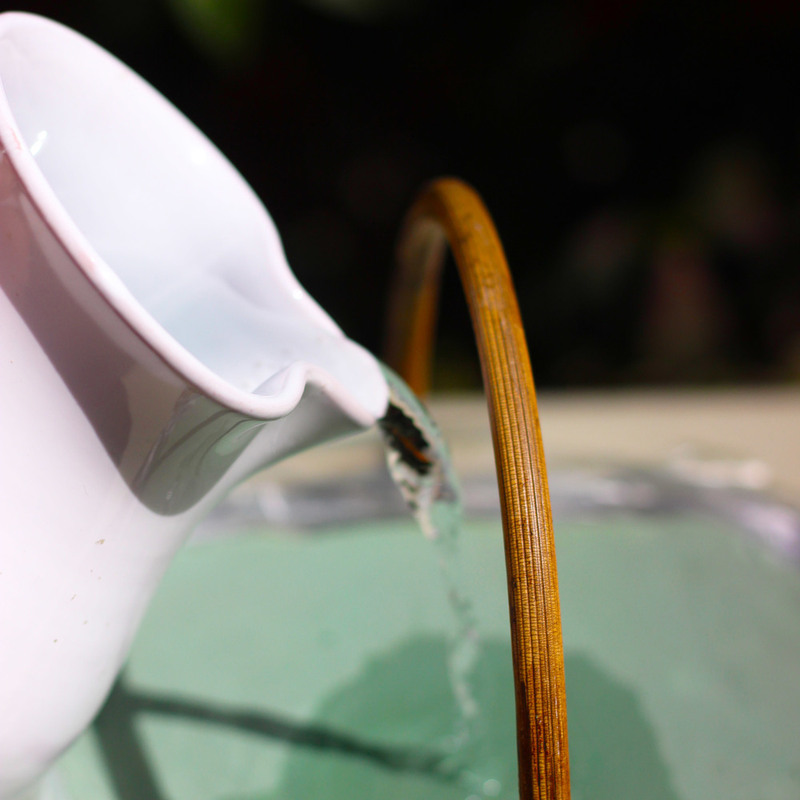 This is because the stem is a 'woody stem' and this will help it absorb water and last longer. You can use your butcher block for this. I would recommend going outside and putting the butcher block on the grass, not hammering the stems on your kitchen counter, or even the sidewalk outside, as it might crack them. Because its Easter, we're also going to put in a bird's nest with eggs. 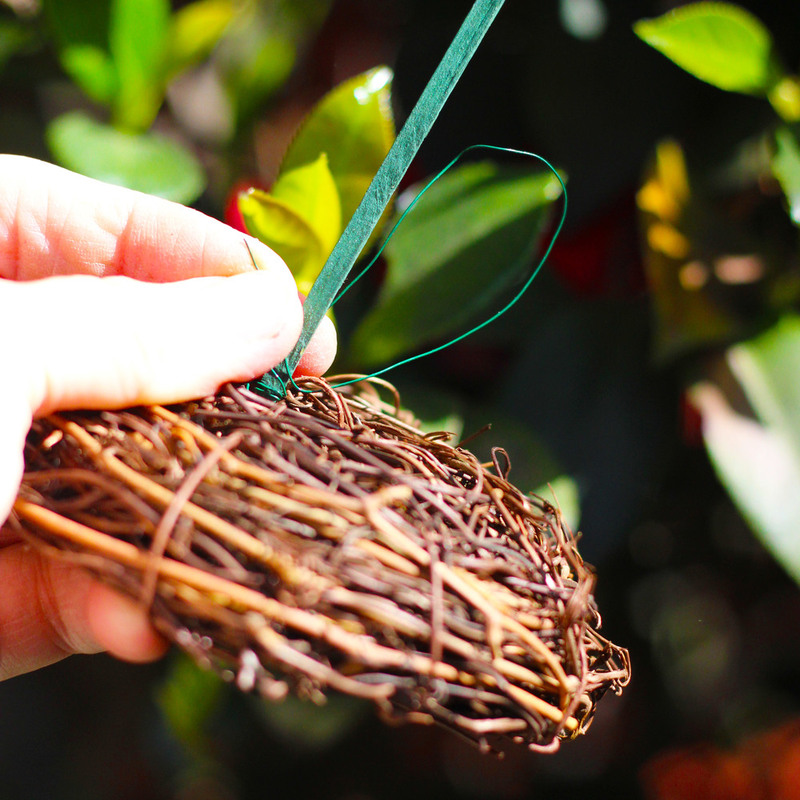 You may be able to buy a bird's nest with eggs, but if not, purchase the nest and some tiny eggs or a floral pick with bird eggs, use a pinch of Spanish Moss and with the help of a glue gun, you will have built your own bird's nest. 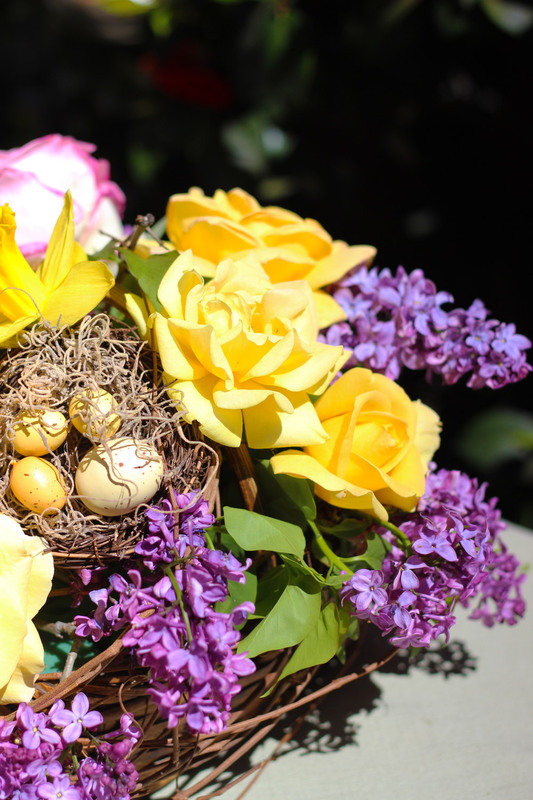 I cut the roses from my garden, and used my husband's Easter basket - hope he doesn't mind. You can buy a swirl of grapevine at the craft store, but the cost was about $16.99, so I just bought a small grapevine wreath that came out to $3.25 with a coupon, and cut the vine that wrapped around the wreath, freeing the grapevine. I stretched it out and wrapped it around a couple of times then cut the vine at different points, so as not to have a blunt cut. Well, if you have borrowed an Easter basket (just don't borrow the kid's) and assembled your materials, you are ready to begin. Put produce bag inside another and fit into basket. Cut along edge. 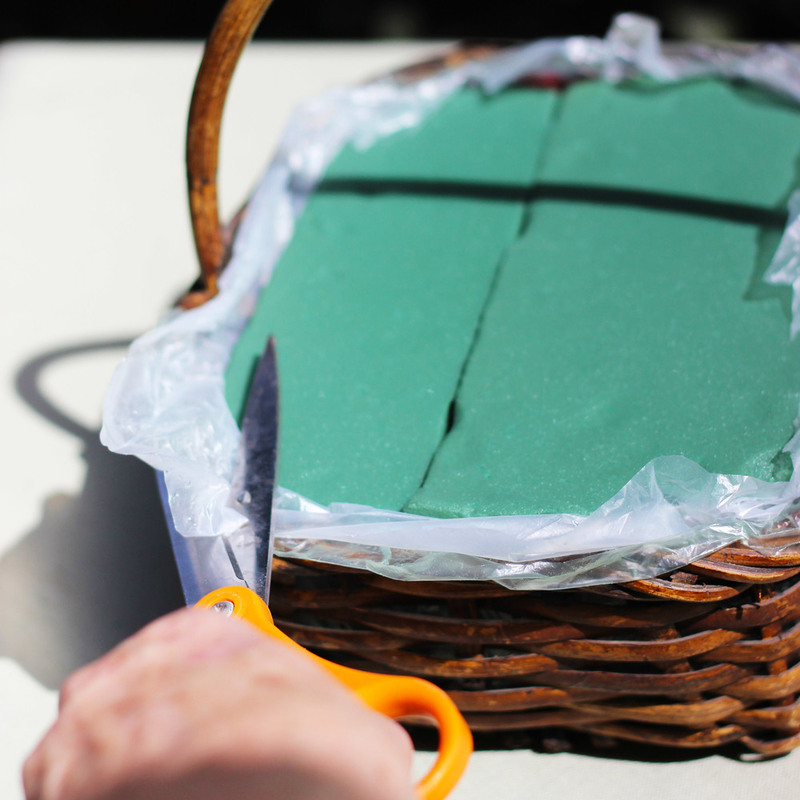 Use produce knife and cut 2 blocks of wet pack floral foam to fit snugly into basket. Trim produce bag closer, so the edges won't show. Loosen grapevine wreath. Wrap loosely around 1.5 times, then cut ends in staggered cuts. 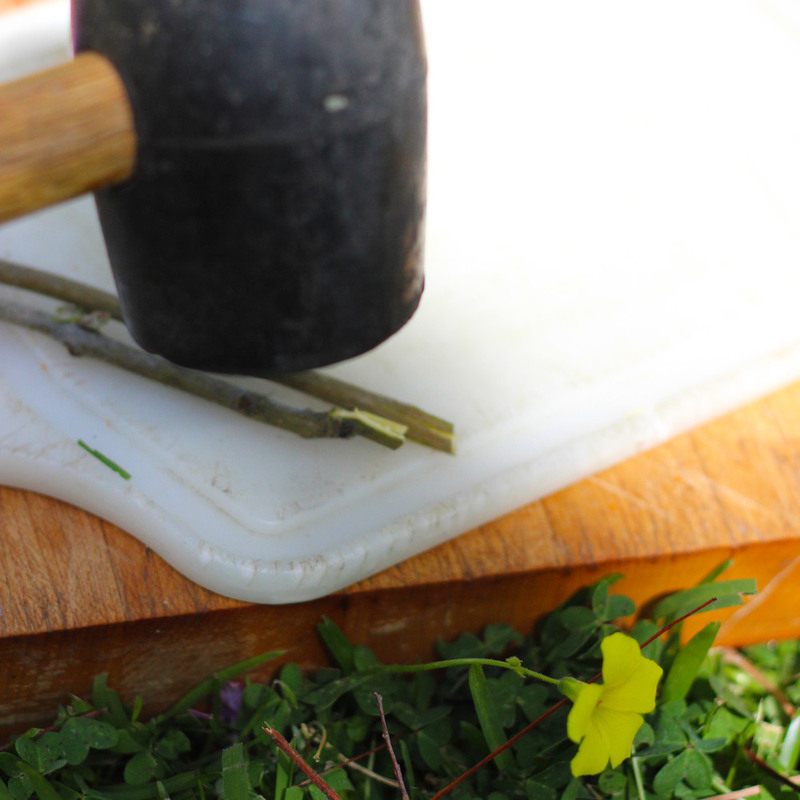 Lay butcher block on grass or ground, so you won't break your counter or sidewalk. 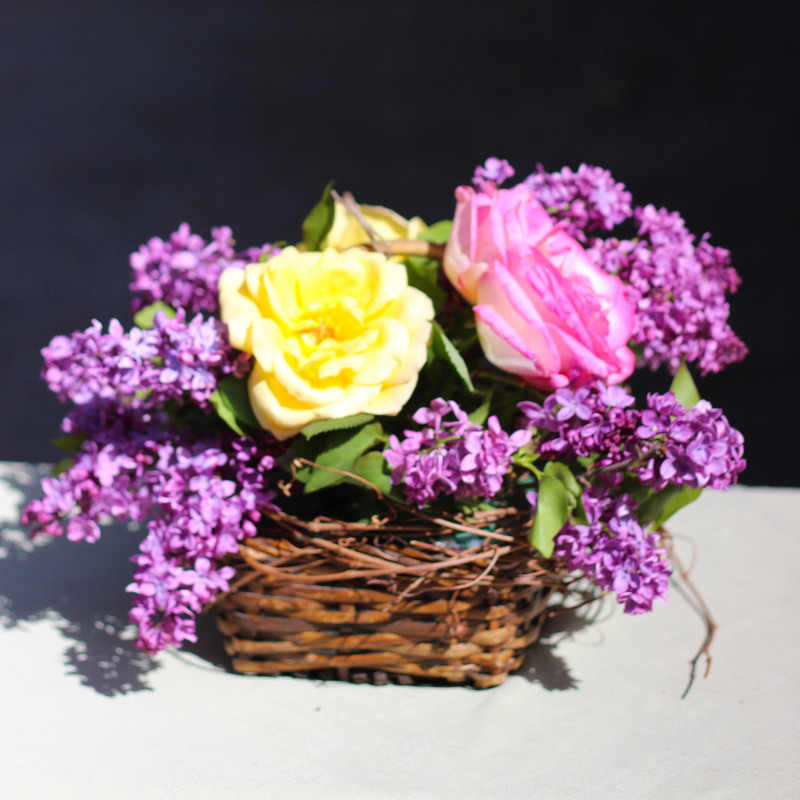 Cut lilac stem ends horizontally and vertically. Hit ends of stem with a mallet. Start placing lilac stems into the foam. Place lilacs front and back until full. 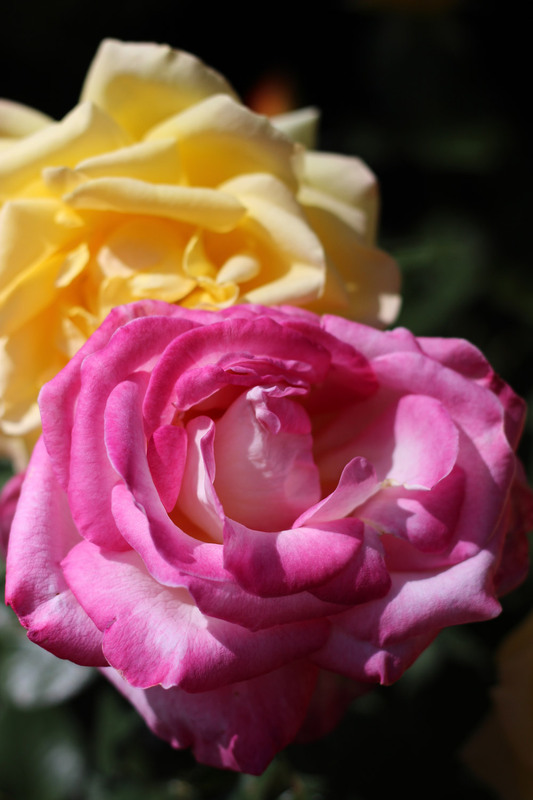 If you have them, you can use garden roses. These beauties were almost surreal and huge... and their fragrance amazing. Place one large yellow rose low in the front. 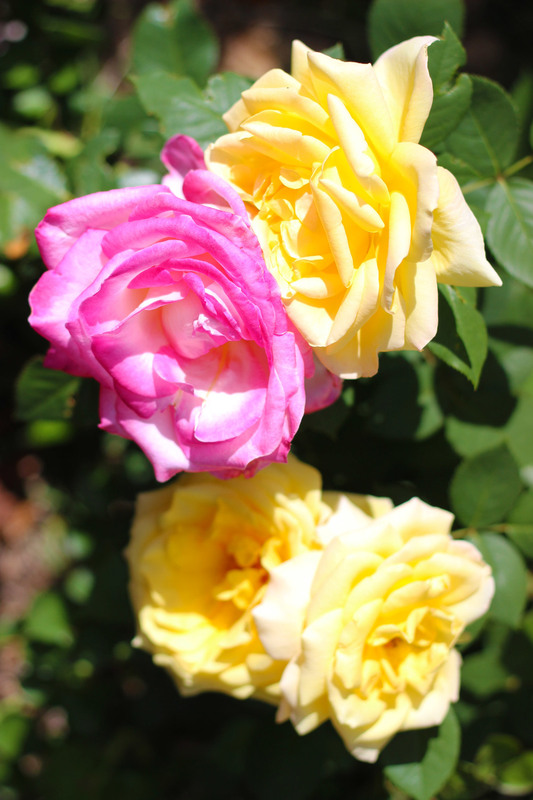 Place one large yellow rose and one large pink rose in back. Now its time to assemble the nesting materials. Push the pick and wire through except for the head. Lace the ware through loop at bottom of nest then around pick. Cut eggs off leaving long wire. Put hot glue daub over head of pick then just swirl around to hold Spanish Moss. Bend wire on eggs straight down. 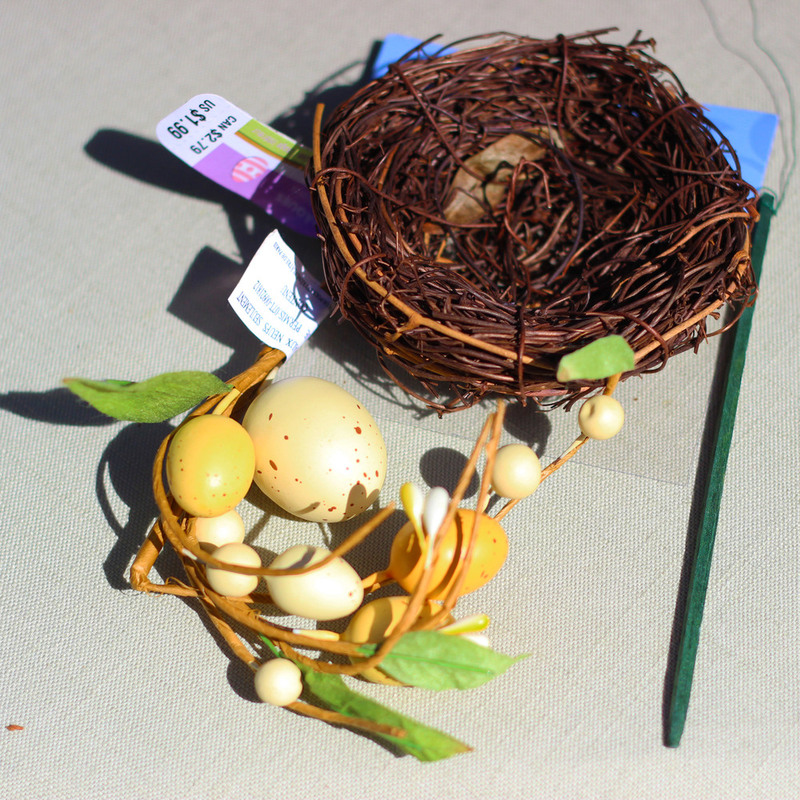 Put daub hot glue on each egg and position in nest. Push flower pick into foam to position. Fill in with three medium yellow roses. Add 7 daffodils to front. Cut so you only press stem in 1/2 inch, or it will bend. Add 3 daffodiles to the back. What do you think Dobie? Dobie says, "I don't care what it looks like and I'd really like a drink, but there hasn't been any milk in there in 50 years...."
"And there's no 'flower water' in these, but they do smell good."